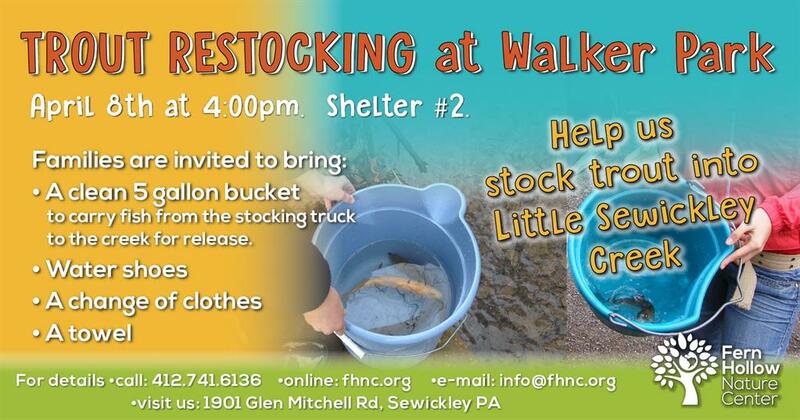 This is a free event for the public to help stock trout into Little Sewickley Creek sponsored by the Sewickley Valley Conservation Association. Families are invited to bring a clean 5 gallon bucket to use to carry fish from the stocking truck to the creek for release. Water shoes, a change of clothes and/or a towel are highly encouraged!